Kombucha and jun tea are both fermented teas with bright, sour flavor and a lovely, natural fizziness. Kombucha is made by culturing black tea sweetened with white sugar. By contrast, jun tea is made by culturing green tea sweetened with honey. Both kombucha and jun are rich in beneficial bacteria, food enzymes and B vitamins as well as healthy acids. 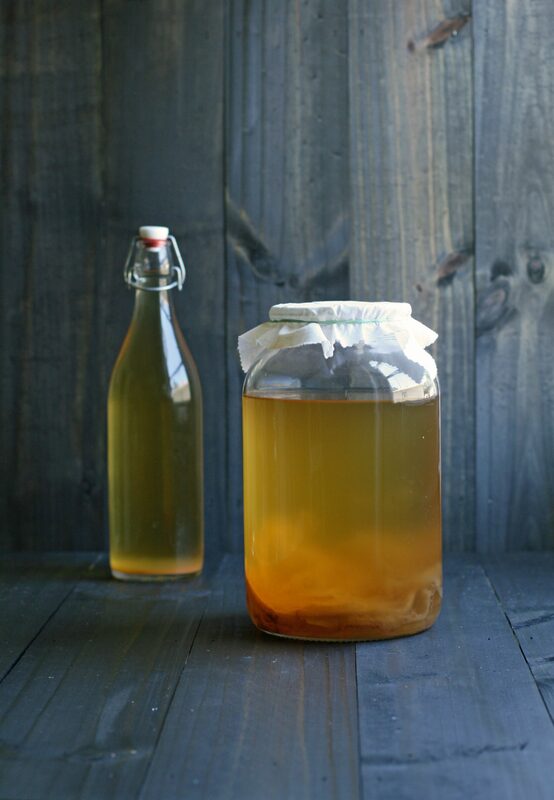 To make kombucha and jun tea at home, you need to begin with a mother culture, also called a SCOBY which stands for symbiotic culture of bacteria and yeast. This mother cultured, coupled with starter tea will inoculate your batch of sweet tea and, over the course of about a week, will turn that tea into kombucha. Buy kombucha mothers and jun tea mothers here. Explore the benefits of kombucha here. Check out this fantastic book on Kombucha here. 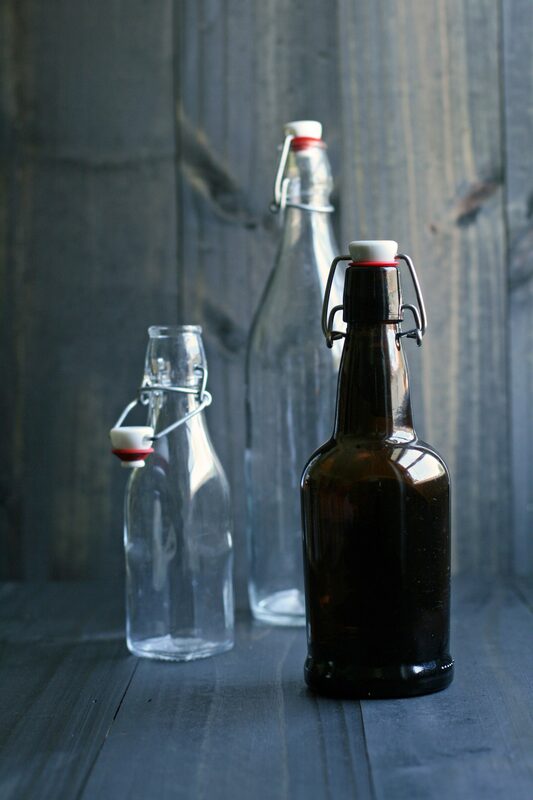 Get a simple recipe for kombucha here. Start making Jun tea with this recipe. See all recipes calling for kombucha here. Like milk kefir, water kefir is a traditional, cultured beverage that’s brimming with good-for-your-gut bacteria. It’s effervescent, faintly tart and wonderfully lively, making a good substitute for soda and other soft drinks. Water kefir relies on a starter culture small, translucent gelatinous grains, also called tibicos or Japanese water crystals. A matrix of beneficial bacteria make up these grains, and its these bacteria that will culture sugar water to make a naturally fermented homemade soda that, like most fermented foods, is rich in probiotics, B vitamins and food enzymes. Buy dried water kefir grains here. Buy fresh water kefir grains here. Check out the origin of water kefir here. Here’s why water kefir’s a great choice for kids. 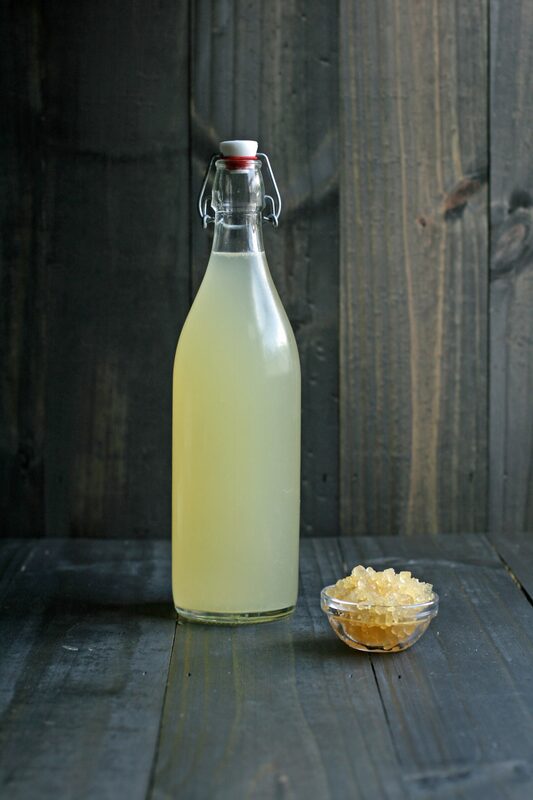 How to make water kefir. People all across the world ferment vegetables, particularly cabbage, to preserve them for long-term storage. It’s a practice that began before refrigeration, and it helped to ensure that families had plenty to eat during the winter season when fresh food was less plentiful. Fermented vegetables are bright and sour in flavor, and growing in popularity. They’re particularly rich in beneficial bacteria which help to support the immune system and build gut health. Even more, during fermentation, key vitamins like folate are increased. Most fermented vegetables are fermented with only salt or brine, others use a starter culture. The key to keep your ferments safe as the microbes do their work is to keep all vegetables completely submerge them in brine, in an oxygen-deprived environment, and the best way to do this is with a fermentation crock. Flip-top bottles are an essential part of any fermenters supply pantry. They provide the safe haven for small batch fermented beverages to do their metabolic work. Flip-top bottles are versatile and reusable reducing the waste that comes out of our kitchen. The best feature of these bottles is that they are air-tight so the probiotics stay in a healthy environment that prevents spoilage. A Fermentation jar is another excellent option for small batch pickling. If you’re just getting started in the kitchen with fermenting and what to test the waters or if you want to demo a new combination these are an excellent place to start. They tend to range in size from one pint to two quarts. Once you become more confident and want to start producing larger batches of pickles and krauts you’ll want to graduate up to the larger sized fermenting crocks. Fermentation crocks tend to be on the larger size and while the initial cost can be seen as a higher buy in price point they generally last for a lifetime and even several generations if cared for properly. Many are quite artistically produced. They are excellent for fermentation as they have a water seal that allows for the kraut to burp but not to be affected harmfully by oxygen. 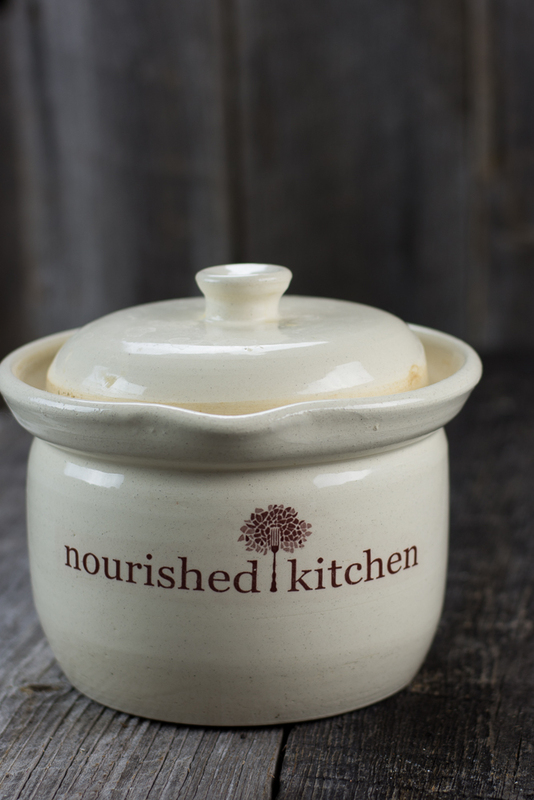 We usually have several fermentation crocks percolating in our kitchen on any given day. Buy vegetable starter culture here. Pick up a traditional fermentation crock for large batches here. Or a glass fermentation jar for small batches here. 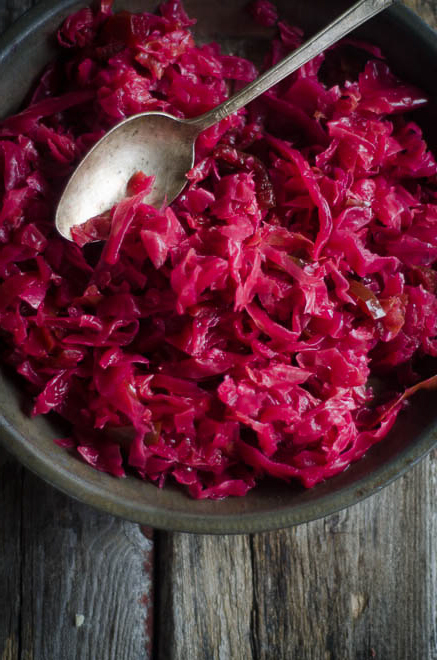 This is a great guide for making fermented vegetables. Check out all our fermented vegetable recipes here.